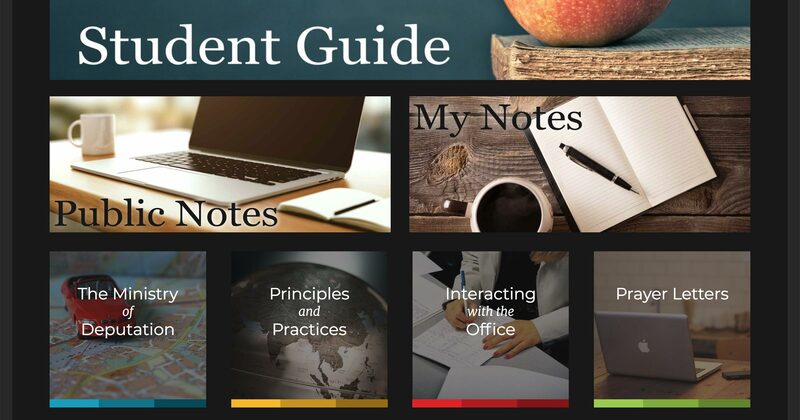 A training site with Vimeo-hosted videos and WP Courseware for students to work through a series of internal training courses. Adds WooCommerce customers to one or more Robly lists, optionally based on the product(s) they purchased. Health information website built while subcontracting for Pressed Solutions. A fully-responsive custom-built site featuring several CDs for purchase and some free tracks to download. Custom Google Analytics events set up to track how many and which tracks are previewed and which outbound links are hovered and clicked. A simple, easy-to-use WordPress plugin to show missionaries’ locations and information on a map. It uses a custom post type and taxonomies to help you intuitively add information. Complete branding package for a missionary couple on deputation, including logo, prayer cards, letterhead, info booklet, thank-you card, social media graphics, and website. 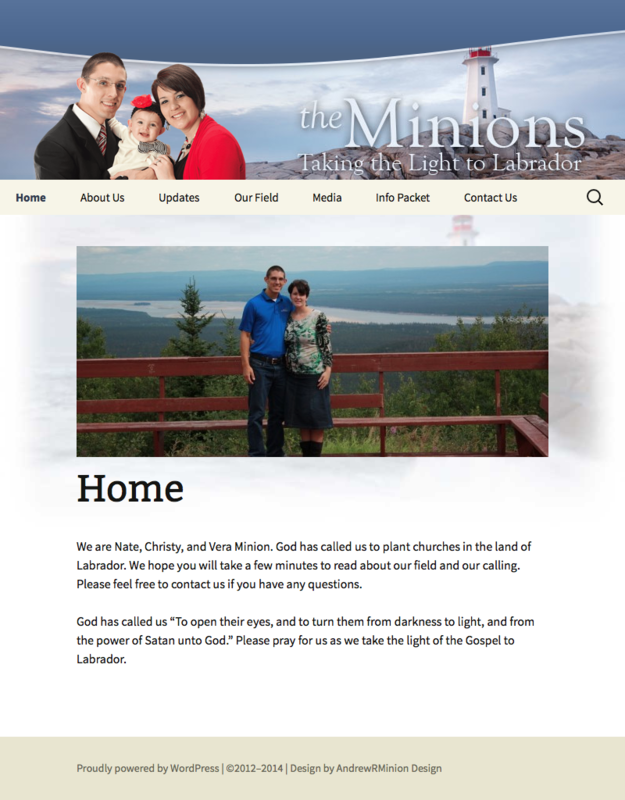 Website for Nate & Christy Minion, missionaries to Labrador, Canada. Uses WordPress and a customized theme to allow Nate to easily update any part of the site on his own. The design is “responsive,” reflowing to easily fit the size of any device used to view it without forcing the user to zoom and scroll around the site. 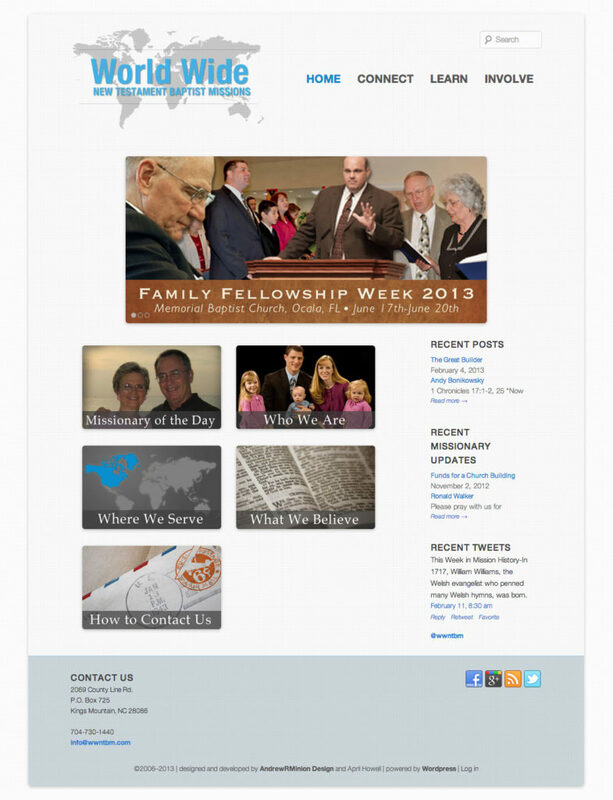 Website for World Wide New Testament Baptist Missions, based in Kings Mountain, NC. Uses WordPress to allow office staff to easily update almost every part of the site on their own. Built responsively for ease-of-use on mobile devices, including iPhones, iPads, Android-based phones and tablets, and other modern web-capable devices. 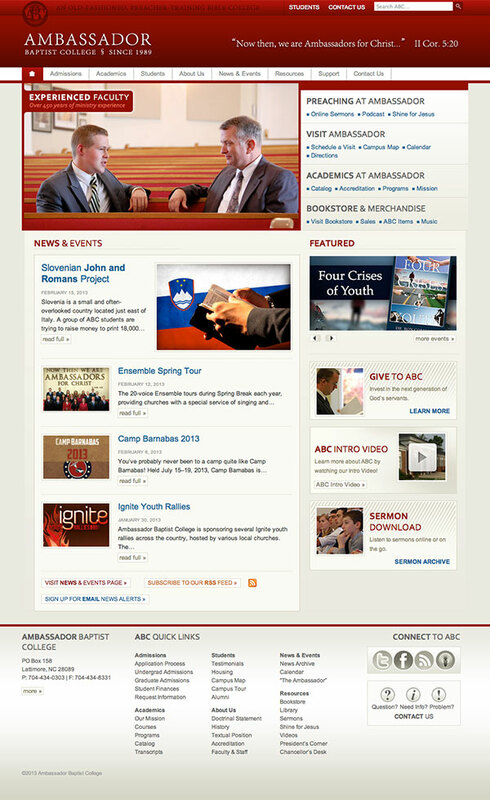 Missionaries are stored in a custom post type to allow tagging by country and ministry type; each missionary has a PDF prayer letter archive; the office staff regularly posts articles by different missionaries. 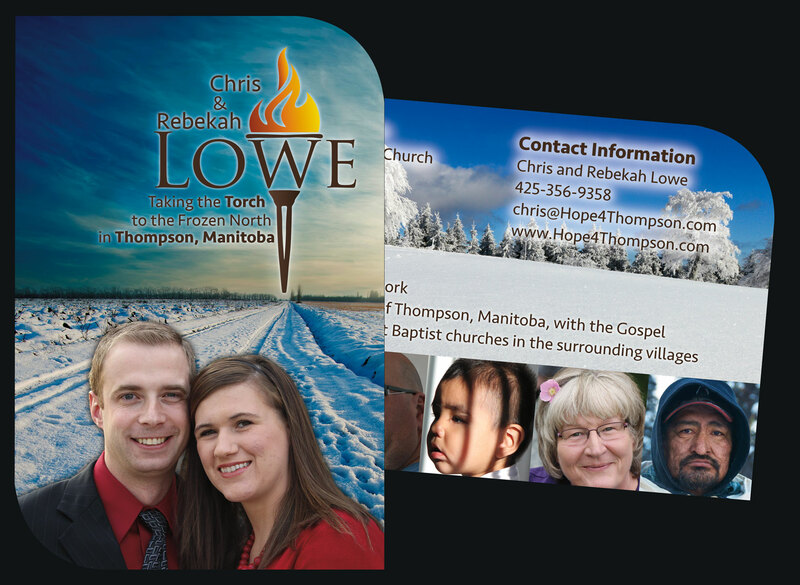 Designed in conjunction with April Howell. Original design by Ryan Griffin; coded as part of my duties on full-time staff at the college. Built from scratch with a custom PHP framework to give complete freedom and flexibility. Includes a Paypal-based online bookstore, fully-searchable sermon archive, daily chapel live streaming, and a number of other custom features.